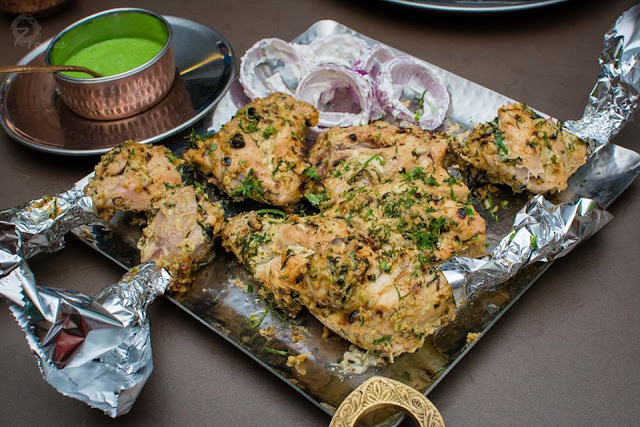 In Hyderabad, Awadhi cuisine was available in bits and pieces in restaurants like Point Pleasant and Eat India Company and in some star hotels. 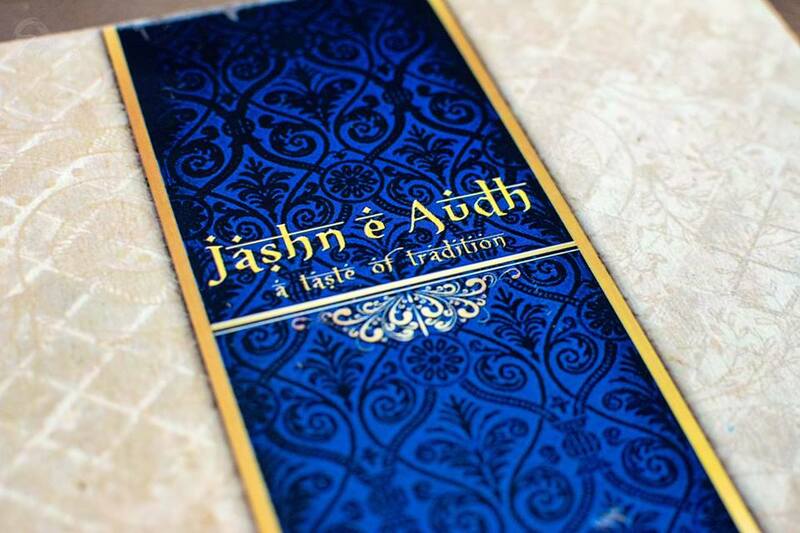 A restaurant aptly named Jashn E Audh – A Taste of Tradition, which has recently commenced its operations at Raidurgam, is the first restaurant to offer a complete experience of Awadhi food in Hyderabad. 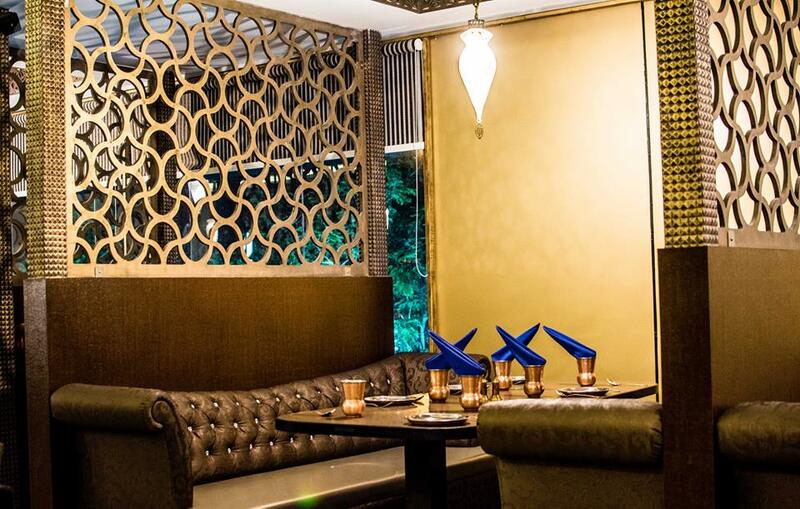 The restaurant is on the first floor of a building on the busy road leading to Gachibowli from Tolichowki. The interiors are aesthetically designed with very comfortable seating. The menu is elaborate, and each item is described in detail, so that the customer can understand what he is ordering. A group of friends decided to get together in the restaurant to taste its delicacies. An enthusiastic person from the group spent time with the restaurant to curate a menu based on his previous experience here, and a feast was awaiting us. We settled down with some refreshing Aam Panna, a drink made from raw mango. 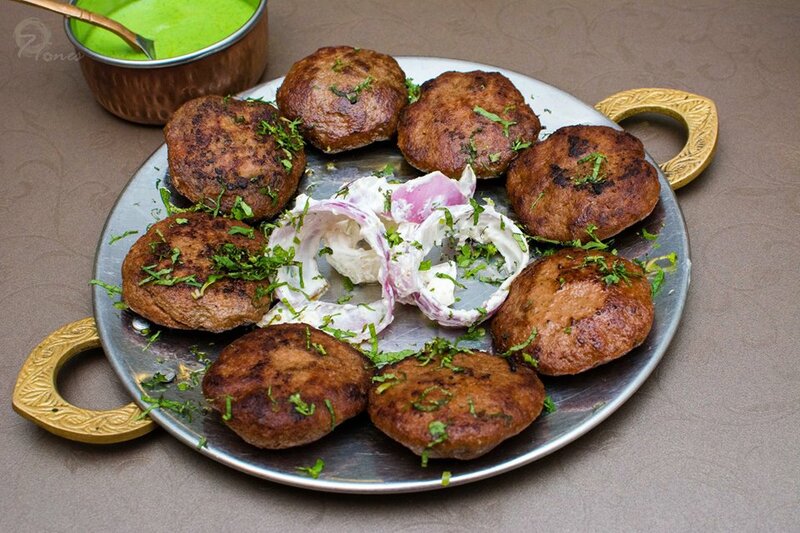 The famous Lucknavi Kababs made their appearance led by Gussewale Nawab ke Kabab. Looking at the name, many of us anticipated a fiercely spicy preparation, but found the gussa of the Nawab to be fairly tempered. The kabab was tender, succulent and smooth with a mild smokiness which enhanced the taste of the dish. 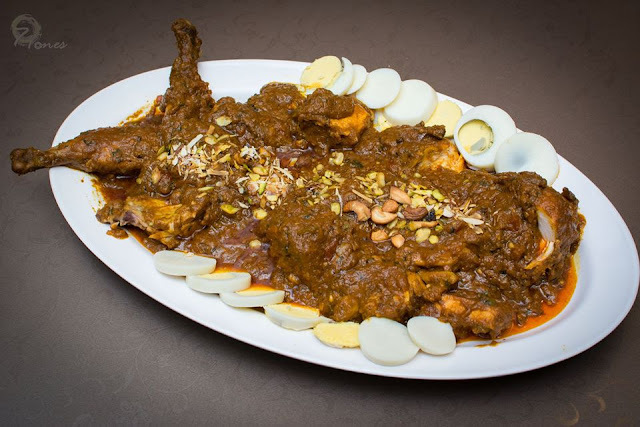 The second kabab I liked was called Jashn E Khaas Murgh , and it is the khas peshkash from the restaurant. 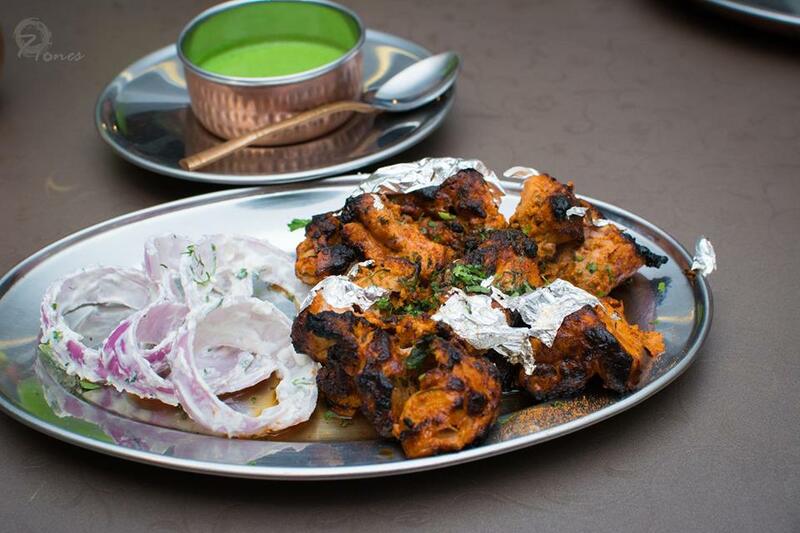 The kabab was a version of malai kabab with bones, and the garlic infused marinade was prepared extremely well. The malai used here is directly skimmed from milk which gives a special flavour to the marinade. I had a lot of expectation from the Galawati Kabab (a melt in the mouth kabab which is also known as Tunday, a variant made famous by the family of Tunday kababi), as people who had visited here earlier had told me it is really good. However today it had an off day with a slightly bitter aftertaste. 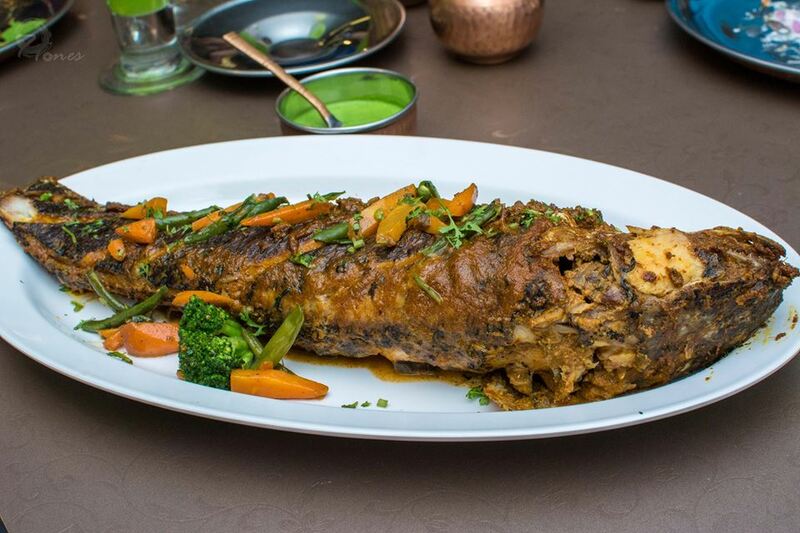 On a special request from our group, the restaurant had also prepared a Whole Murrel Fish. The presentation was generally liked, though I would have loved more masala on the fish. After the kababs came the curries. Murgh Masallam was served first, a whole chicken prepared in a sauce with array of Mughlai spices. A clear winner, the dish paired well with the soft Gilafi Kulchas served with it. Shaan-E-Raan was a whole leg of lamb roasted and then prepared in a special spice mix. Somehow the meat had not soaked in the gravy, making it seem a bit under prepared. The gravy though had a nice taste. 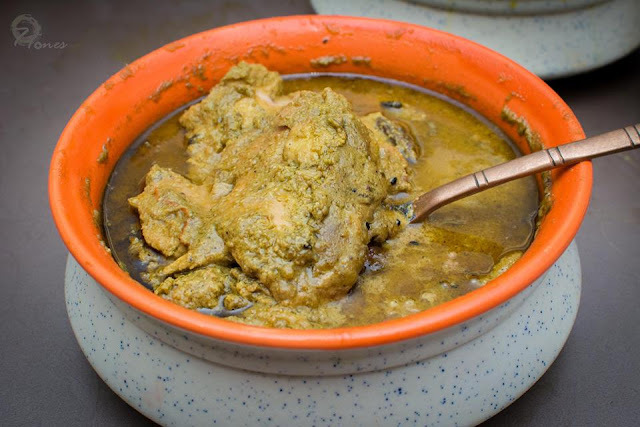 Zameendoz was a specially ordered chicken dish, in which marinated chicken is slow cooked in a sealed earthen pot, usually in a dug pit. The herb infused gravy was thin and had a subtle taste. 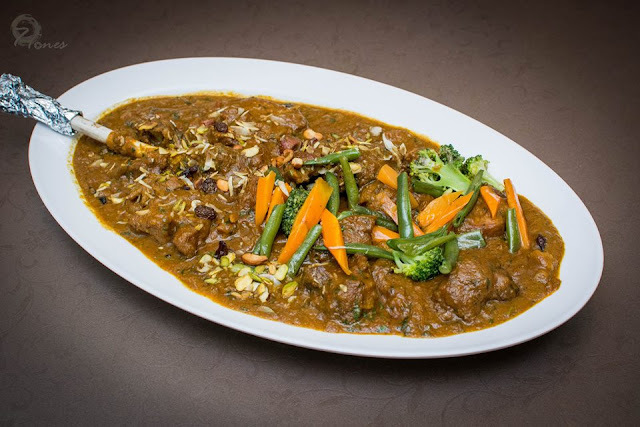 We were told that it is one of the oldest recipes of Awadh. Apart from a selection of Awadhi breads, we had Awadhi Mutton Biryani and Zaffrani Pulao as accompaniments to the curries. The Zaffrani Pulao was quite brilliant with an exceptionally inviting aroma. The Mutton Biryani was subtle, though I would have liked it to be a bit more flavourful. 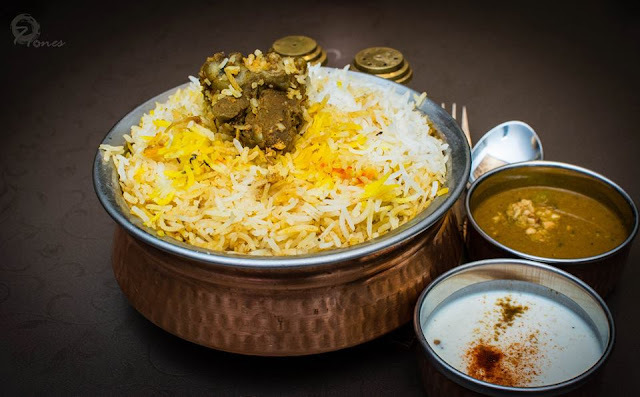 Please note that the Awadhi Biryani is not spicy at all, so if you are having a typically Hyderabadi palate, you must go with a very open mind. The choices of dessert on the menu are extensive. Mirchi Ka Halwa is a must try here – you feel only the flavour of green chillis in the dessert as you have it, and then the spicy aftertaste hits you. 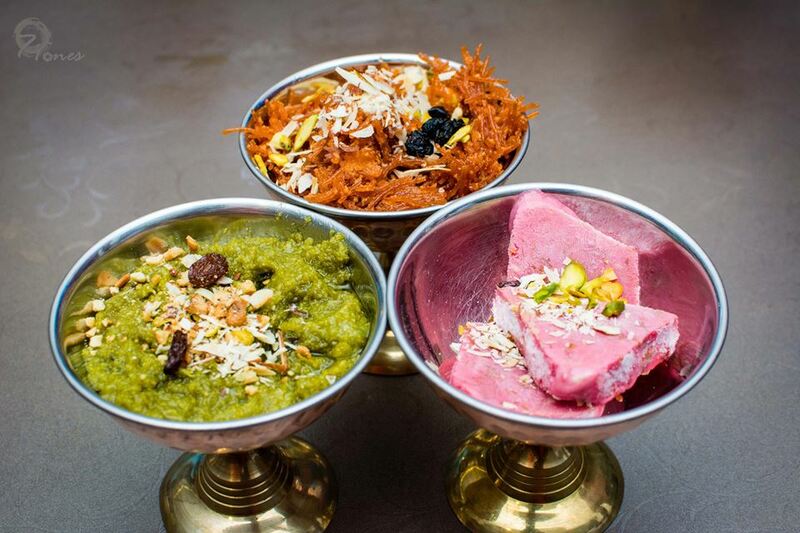 Gulkand Kulfi, a dessert with rose petals is also a very special dish to be tried out here. On studying the menu, there were many dishes worth going back for. A few which looked interesting to me were Chowk Ki Tikki, Chapli Kabab, Rezala and Jhinge Ki Tahiri. Among the desserts, friends recommended their Lychee Ke Kheer. Service was extremely good, given that we were more than a dozen people and ordered quite a handful of dishes. I happen to know the owners well who are extremely passionate about food as well as providing a delightful experience for the customers. For people who enjoy delicious kababs and rich Mughlai food, this place is most definitely worth a visit. mouthwatering! planning serious food trips next year in hyderabad nd lucknow! Awesome clicks. Beautiful and mouth watering post. I have done a review in Navi Mumbai of a newly opened Similar joint, do check when you get time.